User Onboarding - How to create a delightful first experience? 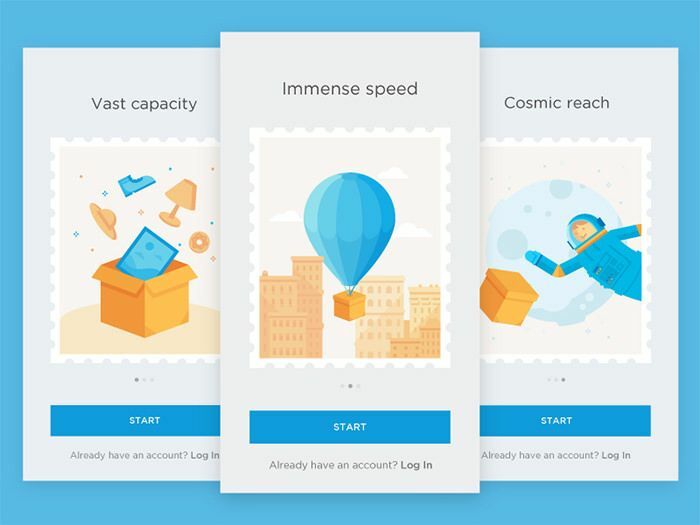 User Onboarding – How To Create A Delightful First Experience? Within moments of meeting you, people decide all sorts of things about you, from intelligence to trustworthiness. Experts say it takes just three seconds for someone to determine whether they like you or not. When it comes to the digital world, decisions are made in a very similar way during user onboarding. Google has recently confirmed in their own research that users form opinions about a website in 50 milliseconds. Silicon Valley analyst Andrew Chen attests that 77 percent of users never use the app again 72 hours after the onboarding. So like it or not, if your app isn’t a knockout on the first impression, it’s probably going to be deleted or forgotten. 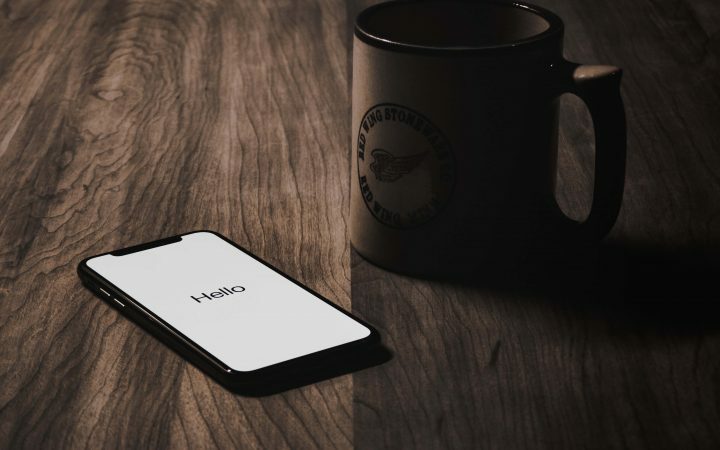 But there is a way to enhance your app’s ‘first introduction’ and help your users discover your product’s benefits, functions, and usage – you just have to design a delightful onboarding experience. But how? What is this app good for? I know, we all like to design slideshows. They’re clean, we can add some shiny illustrations to them and clients tend to adore them, too. But the users can’t wait to start using the actual product. Slideshows, showcases, explanatory screens out of the real content won’t give them the real experience. They just prevent the user from getting to the important part: to actually use the app. How to onboard your users in a progressive way? Okay, so we just killed our fancy slides. But if no explanatory images and overlaying function guides, then what? 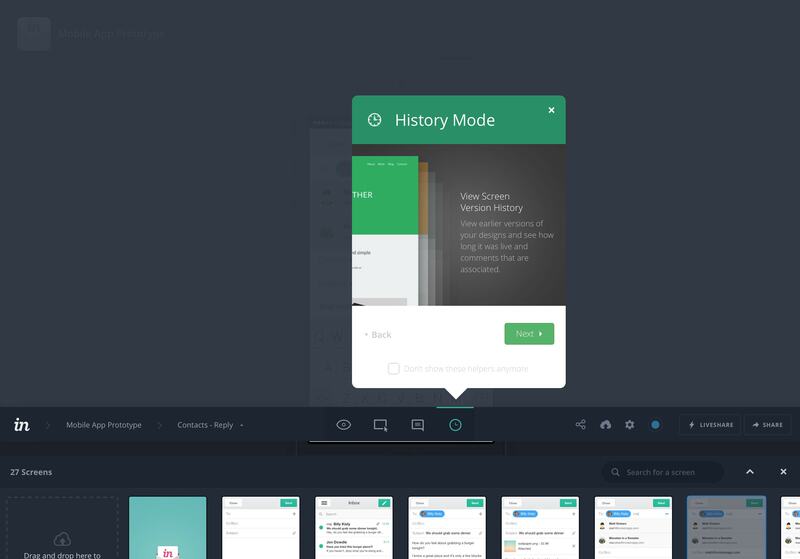 A progressive onboarding process lets the user discover the app by themselves and presents information as they use the app. It doesn’t overwhelm the user, only shows the next step, the next related feature but lets the user decide. Invision is a good example of this kind of onboarding. 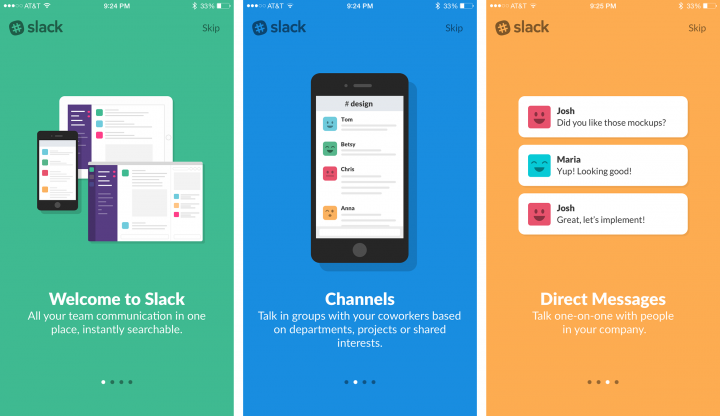 My favorite onboarding example with a test project is Slack. 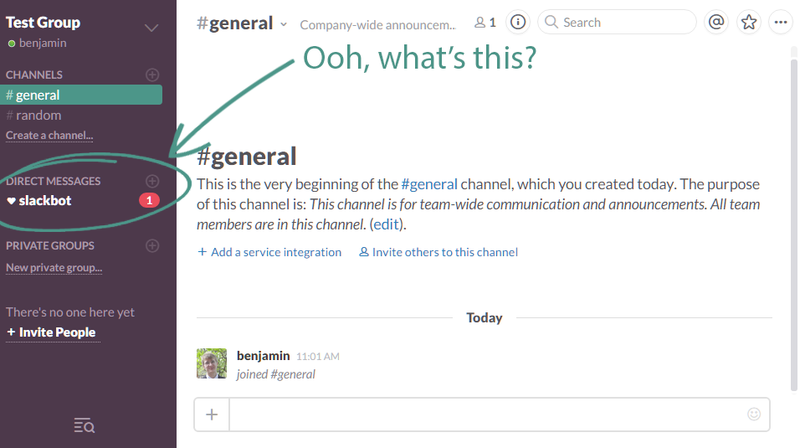 They use Slackbot to teach the users how to use the app. With this little chatbot, you can easily try out the messaging process, without facing any kinds of risk. Using communicational applications, such as messaging and meeting tools, the first usage can be very frustrating. How will my chat message appear!? What happens if I can’t turn off my camera during an online meeting!? How can I try it out without calling/messaging anyone? That’s why providing a test project, content or even a partner can be very helpful to the users. Setting up personal details and interests can also be part of the onboarding process. This can be important if your app is already based on this personal information. (Such as Twitter, Pinterest or Tumblr) This can also be very engaging for the user and enhance their relation to the product in the long term. Now how to start it? Every application has its own “moment of truth”. This is the point in the application where the user understands how the app works. In the early days of Facebook, the aim was to get newly registered users to upload a profile photo, send a friend request and post something on their wall. They knew after completing these three steps, the user will understand the value of Facebook. After which steps will the user reach the “moment of truth” in my application? What is the most important user flow in my application? Which user journey must they try out to really understand my product? – These are the questions you have to ask yourself first. 2. What is my users’ prior knowledge before using my app? After finding the most important flow to teach the user, I recommend you think about this question as well – What questions will my user have when first opening the app? What do they already know about my app? This is a very good method to verify your main flow. You can also prioritize the gathere user questions and also think about which ones you have to answer during the app onboarding. You can also validate these problems, questions with the help of user interviews. During one of my recent projects at our UX agency, I used this technique to clarify the main stages of our user onboarding. 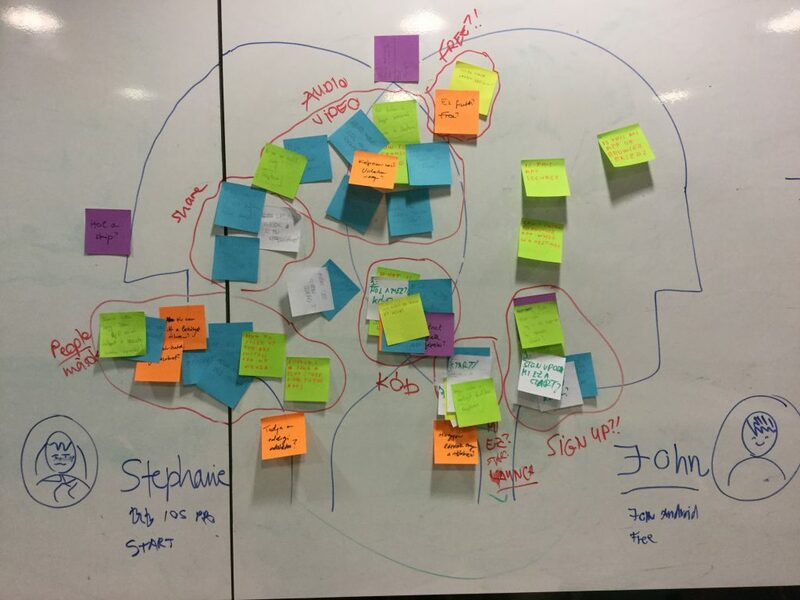 We gathered first-user questions and grouped them by subject and user persona. After you have created the whole flow, your work isn’t done yet. You have to test and measure your onboarding process with real users. You can do this with creating prototypes and test them. Or – if your app is already functioning – you can gather data with Google Analytics, use different tools like Apptimize, Optimizley or Appsee to optimize your process. Even if you aren’t very familiar with analytics, at least measuring the bouncing rate and CTA buttons are a must. 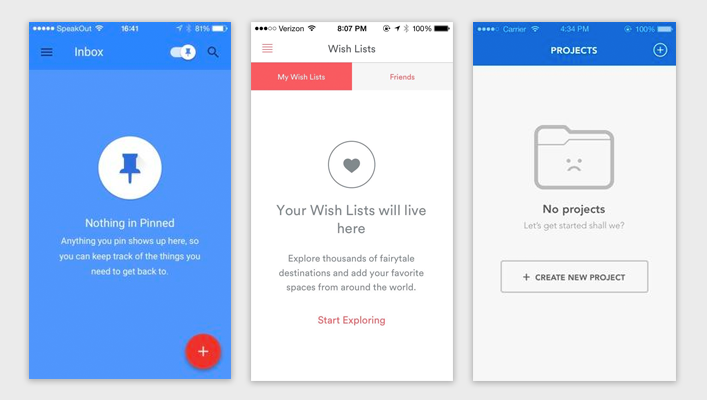 Creating a delightful app onboarding experience is tough work, but I hope these tips and guidelines will jumpstart your own design process. 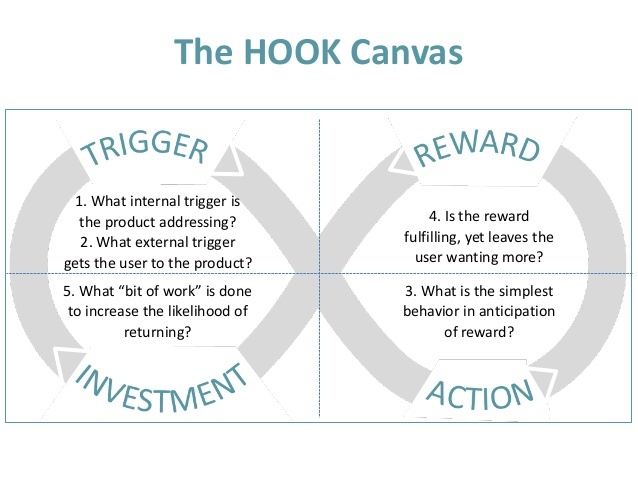 If you need some more inspiration on the subject, I recommend you read Jane Portman’s article (the one which I can’t stop quoting), or check out one of our case studies about how we increased retention with the help of onboarding. If you have any comments, or other resources about app onboarding processes, don’t hesitate to share them with me in the comments below! I'm a UX designer who's highly interested in social innovations, design thinking methods and hand lettering. Sometimes I get so fascinated about how emerging technologies change our lives and communities that I write an article about it. Hi Lena, glad you see some valid points in the post. We will definitely take a look at your blog!